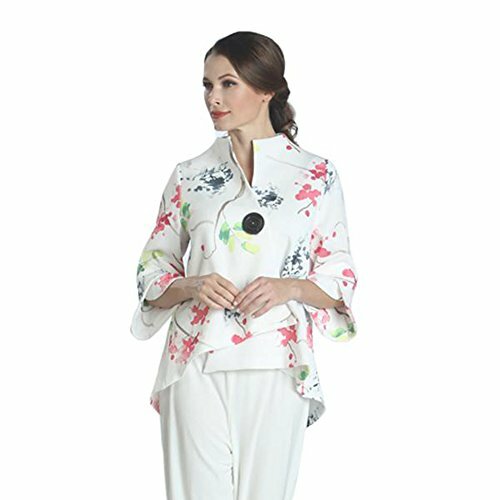 IC Collection Watercolor Floral Print Asymmetric Jacket - 1177J (Large) by IC Collection at SCRHI. Hurry! Limited time offer. Offer valid only while supplies last.